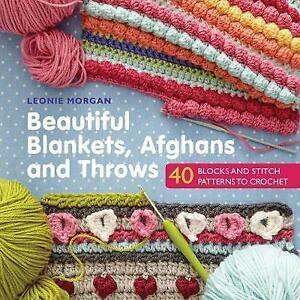 Author Biography Leonie Morgan is a freelance crochet designer who runs her own craft business and blog, WoolnHook. She is the author of 100 Bright & Colourful Granny Squares to Mix & Match, 100 Colourful Ripple Stitches to Crochet and 75 Colourful Hexagons to Crochet. Leonie lives in Wales, UK. She blogs at www.woolnhook.com. Official site: www.leoniemorgan.com. Nice size with beautiful blankets. Well laid out with clear instructions that are easy to understand. A must have book that makes me want to try everything in it. Really pleased with the book started making one of the blankets straight away.